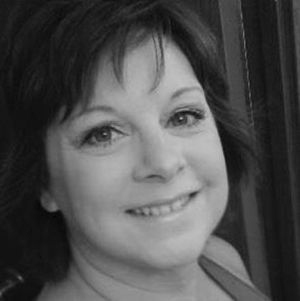 Obituary – Allen, Jana Jo (Adkins) « Perry High School Alumni Association, Inc.
Jana Jo Adkins Allen, 51, of Stillwater, passed peacefully from this life on Nov. 12, 2013, with her family by her side. Services have been entrusted to the care of Palmer Marler Funeral Home and a memorial service celebrating Jana’s life will be held at Palmer Marler Funeral Home Chapel on Saturday, Nov. 16, 2013, at 10 a.m. Visitation with the family will be held on Friday, Nov. 15, 2013, from 6 p.m. to 8 p.m. at the funeral home. Jana Jo Adkins was born on Aug. 16, 1962, in Electra, Texas, to Ralph and Linda McHugh Adkins. 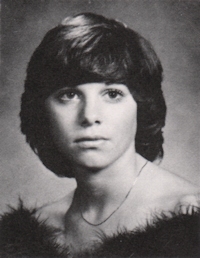 She grew up in Stillwater and Perry, and graduated from Perry High School in 1980. In 1981, Jana married Jamie Thompson and they were blessed with three wonderful children: Kristin in 1983, Alissa in 1986 and Taylor in 1989. She worked for Exchange Bank for several years before deciding to stay home and raise her children. In 2000, Jana accepted a position at Oklahoma State University where she worked as a senior administrative assistant for OSU Counseling Services until her passing. In 2009, Jana was diagnosed with breast cancer and at that time took medical leave from OSU to battle this disease and spend quality time with her family. In her time at OSU, Jana served for several years on the Student Council Advisory Committee, Staff Advisory Council, as well as several other committees and subcommittees within Student Affairs. She could usually be found at The Daily Grind with Ginger and “the gang.” Jana’s interests also included being an accomplished breeder of mini-dachshunds and she shipped many of her puppies to owners around the world. She was actively involved in sporting activities through Stillwater Parks and Recreation. Jana loved cooking, gardening, fishing and traveling to the beach, especially Destin, Fla.
Jana Allen was a spirited and courageous woman. She was a trusted friend who could always be relied on to give good advice. She was joyful, the life of the party and her smile and friendly demeanor made her easy to love. Jana packed a lot of love and friendships into her short 51 years of life and her wisdom and unconditional love will be greatly missed by all who knew her. The family wishes to express their sincere gratitude to everyone who has prayed for Jana and for the other cancer survivors that have served as an inspiration to Jana during her illness. They would also like to thank Pastor J.B. Bond, as well as Dr. Lara Theobold, Valerie Leach, Amy Etheridge, Gene Owen and the staff of Companion Hospice for their wonderful kindness and excellent care. Jana wanted to express her sincere appreciation to her best friend Patricia “GiGi” Rozzell for her 43 years of friendship and endless emotional support. Jana was preceded in death by her father, Ralph Adkins, and her brother, Gary Adkins. She is survived by her mother, Linda Adkins of Electra, Texas; two daughters, Kristin Thompson of Tulsa, and Alissa Burns and husband, Dylan of Stillwater; one son, Taylor Thompson and wife, Brandy of Stillwater; one sister, Keri Koch and husband, Geoff of Perry; six grandchildren, Jayden Childers, Cason White, Layla Jo White, Kade “KB” Burns, Brittlyn Burns and Easton Thompson; one niece, Cierra Koch and two nephews, Brendon Koch and Lincoln Koch.